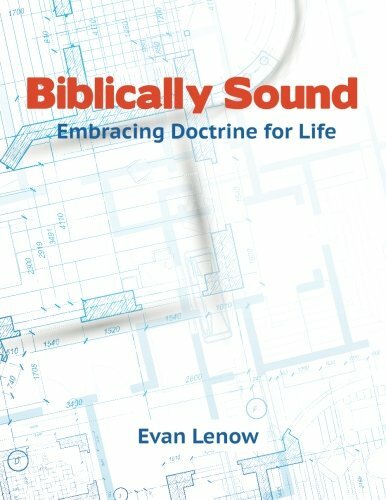 Review of If God, Why Evil? If God, Why Evil? : A New Way to Think About the Question. By Norman L. Geisler. Minneapolis: Bethany House, 2011. 173 pages. Softcover, $14.99. The problem of evil is one of the most pressing philosophical questions facing Christianity. The task of answering why evil exists if God is good has been the focus of many apologists. Unfortunately, much of the work on the problem of evil is just as difficult to read as the problem is to answer. The average reader may find himself drowning in a sea of philosophical argumentation into which even professional academics only carefully tread. By contrast, when someone attempts to develop a theodicy that is palatable for the average reader, it typically turns out to be less than satisfactory. For these reasons, the problem of evil remains an often unanswered question in the church pew or at the coffee shop. 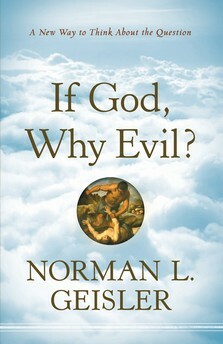 Norman Geisler has attempted to solve this conundrum in his book, If God, Why Evil? : A New Way to Think About the Question, by presenting a very readable, yet scholarly answer to the problem of evil. Geisler divides the book into the major questions about evil—nature, origin, persistence, purpose, and avoidability of evil. Then he addresses some of the practical applications of the problem of evil, including physical evil, miracles, hell, and exclusivism. At the foundation of the book is a free will defense of the problem of evil. If one has read much of Geisler’s other 70 books, then one is most likely not surprised that he approaches the problem in that way. Even though the chapters are not full of references to other scholarly works, it is clear that Geisler has condensed his own thoughts on the issue to make the book clear, concise, comprehensive, correct, and comforting (10). In keeping with an Augustinian approach to the nature of evil, Geisler then argues that the second premise is incorrect and that evil is actually “a real privation in good things” (25). This conclusion leads him to the origin of evil, which he argues is based in free will (28–30). Once Geisler establishes that evil originates in the free will with which God created humans and angels, he tackles the problem of the persistence of evil. Geisler believes that the argument against God from the persistence of evil “is one of the oldest and most difficult of all arguments” (36). At its heart, this argument asks why a good, omnipotent God has not destroyed evil. In answer to this question, Geisler proposes that “the only way God could literally destroy all evil is to destroy all freedom. However, to destroy all freedom is to destroy the possibility of all moral good. All moral choices are free choices” (38). Therefore, he believes that the question is posed in the wrong way. The way a Christian should look at this question is to ask whether or not evil is defeated, and Geisler’s answer is that evil has not yet been defeated, but it will be. In answer to the question of the purpose of evil, the author concludes that humans are unable to know all of God’s purposes, and that he has a good purpose in all things, even evil. Finally, he tackles the issue of the avoidability of evil. Geisler believes, “This present world is not the best of all possible worlds, but it is the best of all possible ways to the best of all achievable worlds” (68). In essence, a world without evil would be a world without free will, and Geisler believes that free will is a necessary element for a good world. The book then moves from the major categories of the problem of evil to address the practical applications of evil, including physical evil, miracles, hell, and exclusivism. Geisler holds that physical evil, just like all other forms of evil, is the result of human free will and that God permits the existence of physical evil in part to accomplish his ultimate purposes. In response to physical evil, some have argued that God should miraculously intervene to prevent all physical evil. However, Geisler argues that “it is not possible to have a regular miraculous interruption of the natural order” (87). This would interfere with physical life, moral freedom, moral choices, moral improvement, moral warnings, and achieving the best world possible (87–91). The author then moves to address hell as an expression of God’s judgment. Some hold that the existence of an eternal hell denies the goodness of God, but Geisler argues that God’s justice, love, sovereignty, and human dignity demand an eternal hell (98–100). He also addresses several major objections to an eternal hell that have been offered throughout history. The main chapters of the book conclude with a discussion of exculsivism and universalism. He asks the question, “What about those who have never heard?” (115). In response, Geisler posits a very orthodox view on the exclusivity of Christ and rejects both universalism and inclusivism. After the main chapters, Geisler adds three appendices that serve as more academic supplements to the content of the book. The first appendix offers varying views of the topic of animal death before Adam. Geisler never offers his own conclusion but provides various alternatives with both their strengths and weaknesses. The second appendix is a development of some of the classical arguments for God’s existence, including the cosmological argument, the teleological argument, and the moral argument. The final appendix is an in-depth critique of William P. Young’s book, The Shack. Overall, Geisler superbly accomplishes his task of answering the problem of evil in a very readable fashion. Of course, there will be some who are not swayed by his free will defense, but his development of that particular defense for a general audience was excellent. The main drawback of the book comes only from the intended purpose of the book. Most works on the problem of evil provide ample documentation to historical and academic sources to build a case; however, Geisler provides only minimal references to other material. In fact, many of his references are to other books he has written. This is only a problem when this book is compared to other volumes on the problem of evil that are more academic in nature. Since Geisler was specifically trying to avoid an overly academic feel, the lack of outside references is understandable. While this book may never become the standard academic reference text on the free will defense for the problem of evil, Geisler certainly accomplished his purpose. 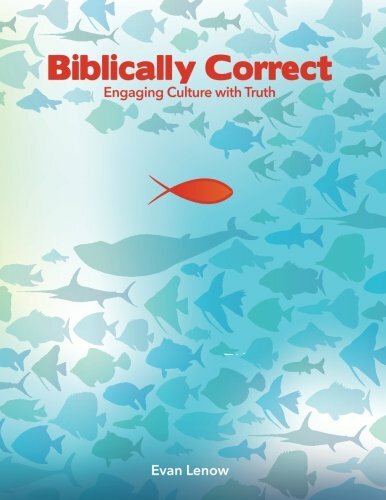 This is an excellent resource for the average reader looking for an understandable and easy-to-read book that will assist them in tackling one of Christianity’s most difficult questions. Next ›Does ‘Mother Earth’ Have Human Rights?